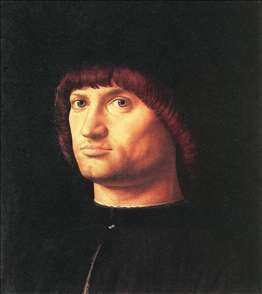 Italian painter who probably introduced oil painting and Flemish pictorial techniques into mid-15th-century Venetian art. 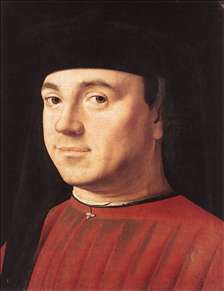 Vasari says that Antonello brought the secret of oil painting to Venice. 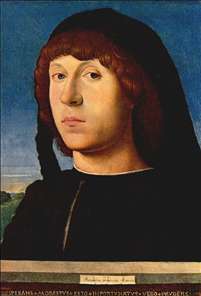 While this is probably untrue, his San Cassiano altarpiece was certainly influential, for several younger Venetian artists borrowed directly from it and Giovanni Bellini admired the modelling of its figures. His practice of building form with colour rather than line and shade greatly influenced the subsequent development of Venetian painting. 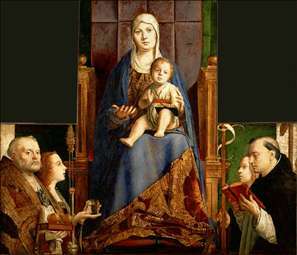 Little is known of Antonello s early life, but it is clear that he was trained in Naples, then a cosmopolitan art centre, where he studied the work of Provenal and Flemish artists, especially that of Jan van Eyck. 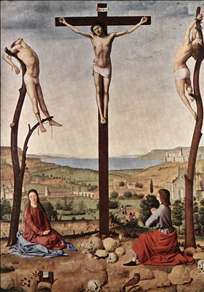 His earliest known works, a Crucifixion (c. 1455; Museum of Art, Sibiu) and St Jerome in His Study (c. 1460; National Gallery, London), already show Antonello s characteristic combination of Flemish technique and realism with typically Italian modelling of forms and clarity of spatial arrangement. 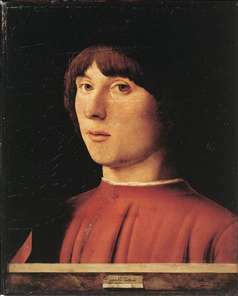 From 1475 to 1476 Antonello was in Venice and possibly Milan. Within a short time of his arrival in Venice, his work attracted so much favourable attention that he was supported by the Venetian state, and local painters enthusiastically adopted his oil technique and compositional style. 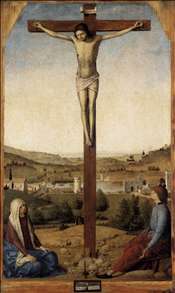 Among his known works from this period are a Crucifixion (1475, Koninklijk Museum voor Schone Kunsten, Antwerp) and the San Cassiano Altarpiece of which only two fragments remain (1475-1476, Kunsthistorisches Museum, Vienna). 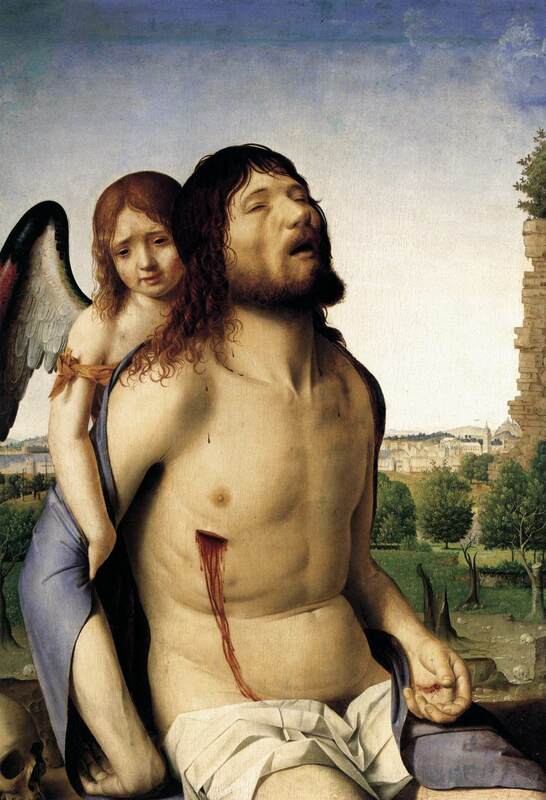 In St Sebastian (c. 1476; Gemldegalerie, Dresden), his most mature work, Antonello achieved a synthesis of clearly defined space, monumental, sculpture-like form, and luminous colour, which was one of the most decisive influences on the evolution of Venetian painting down to Giorgione s day. 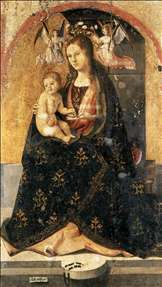 In 1476 he was again in Messina, where he completed his final masterpiece, The Virgin Annunciated (c. 1476; Galleria Nazionale, Palermo). 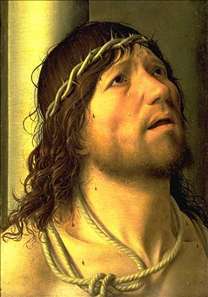 See more details about "San Cassiano Altar"
See more details about "Christ at the Column "
See more details about "Portrait of a Man (Il Condottiere)"
See more details about "The Dead Christ Supported by an Angel"